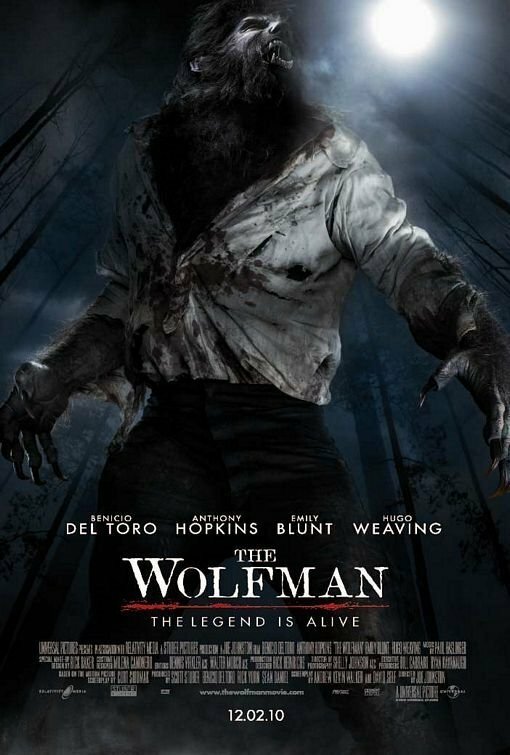 The Wolfman (2010). . HD Wallpaper and background images in the Werewolves club tagged: the wolfman 2010 movie poster benicio del toro emily blunt anthony hopkins hugo weaving. This Werewolves photo might contain سائن ان کریں, پوسٹر, متن, چاکبورڈ, نشانی, تختۂ چاک, رائفل مین, and رائفل.